Lew graduated from Clinton High School where he was President of the Senior Class, President of Future Farmers of America, and received the American Farmer degree, the highest degree given by the organization. He was also voted “most likely to succeed” by his senior classmates. In 1990, Lew graduated from Wake Forest University School of Law where he served on the Wake Forest Law Review for one year and received the American Jurisprudence Award for Excellence in Contracts as he was the top scorer for contracts in the law school division. He was also on the Dean’s List in recognition of his academic achievements in law school. Lew is currently the managing partner in the law firm of Daughtry, Woodard, Lawrence & Starling which has offices in Clinton and Smithfield, North Carolina. His legal career is broad and he serves as corporate counsel for Platinum Corral, LLC d/b/a Golden Corral, North Carolina’s largest franchise operator of Golden Corral restaurants. He serves as North Carolina counsel to JR Tobacco and serves as their lobbyist in the North Carolina General Assembly. JR is the world’s largest seller of cigars. He also serves as counsel for Coastal Carolina Pumping, one of North Carolina’s largest concrete pumping companies. 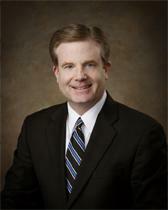 He is also counsel for Johnston Memorial Hospital. He also represents many other companies and clients and has been involved in major litigation. Lew is also a founding investor for Capstone Bank in Raleigh. He is very active in the community and is a member of the Masonic Lodge, Hiram Lodge #98. He is also a Shriner and a lifelong member of the First Baptist Church in Clinton where he served as a Deacon. He was appointed unanimously by the Sampson County Board of Commissioners to the Board of Trustees of the Sampson Regional Medical Center in Clinton where he served a six-year term as the youngest member in the history of the Board and was reappointed to the Board for a second term. After serving twelve years, he was unanimously elected as general counsel for Sampson Regional Medical Center and is currently serving in that capacity. Lew serves on the Campbell University Board of Presidential Advisors and is currently serving on the Board of Trustees. He is currently also serving on the Board of the Clinton branch of First Citizens Bank. Lew has served on the Board of the Sampson Community College Foundation and has served as its President. Lew has also served since 2001 and continues to serve as the Chairman of the Clinton/Sampson Airport Authority. In 2001, Lew was elected Mayor of Clinton, and is currently serving his seventh term. While serving as Mayor, Clinton has been selected as an All American City, a national distinction. During his tenure, Lew has received the following awards for community leadership: Clinton-Sampson Chamber of Commerce Multi-Cultural; Business Committee’s Martin Luther King, Jr., Award; Honorary Chairman, March of Dimes Walk America 2003 and 2004. During these two years, the City of Clinton was a co-sponsor of the event and an active participant; Best Elected Official in Sampson County for the years 2003, 2004, and 2008; Recognized by the District 5 Steering Committee for outstanding service above and beyond his duties in the Civic Pride Clean-Up Day on October 7, 2006. He personally drove a trash truck to pick up the trash bags collected by the volunteers on Clean-Up Day. Lew spends countless hours every week attending community events and programs. He often attends weddings, birthday parties, and funerals of citizens of Clinton. He also has an open-door policy and meets with all citizens at their request and personally returns all calls to citizens. In support of the All American City effort in 2009, Lew forgave and donated his salary as Mayor for the endeavor. He was the keynote speaker at the Martin Luther King, Jr., event in January 2010. In 2010, Lew was recognized by the North Carolina Bar Association as a “Citizen Lawyer” for his work in the community. About the Citizen Lawyer Award: The NCBA Citizen Lawyer Award was established in 2007 to recognize lawyers who provide exemplary public service to their communities. Honorees include elected and appointed government officials, coaches, mentors and voluntary leaders of non-profit, civic and community organizations. Since 2007, there have been 64 recipients of the award. In 2012, Lew was selected by his peers to be included in The Best Lawyers in America®, 19th Edition for his work in the practice area of commercial litigation. For three decades, Best Lawyers have been regarded—by both the profession and the public—as the most credible and definitive guide to legal excellence in the United States. Lew was also selected for the 20th and 21st edition of Best Lawyers in America as well. In 2012, Lew was selected by the Clinton-Sampson Chamber of Commerce as the Outstanding Chamber Member of the Year. Lew and his wife, Erika, have two daughters, Annell Grace Starling, who is five years old and Annie Marie is three years old.